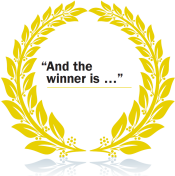 The McKinsey & Company Report, “And the winner is…” Capturing the Promise of Philanthropic Prizes was released March 3, 2009. The Report concluded that incentive prizes are a unique and powerful tool that should be in the basic toolkit of many of today’s philanthropists. The recent renaissance of prizes is largely due to a new appreciation for the multiple ways in which they can produce change: not only by identifying new levels of excellence and by encouraging specific innovations, but also by changing wider perceptions, improving the performance of communities of problem-solvers, building the skills of individuals, and mobilizing new talent or capital. If you'd like to read the complete report it can be downloaded here.